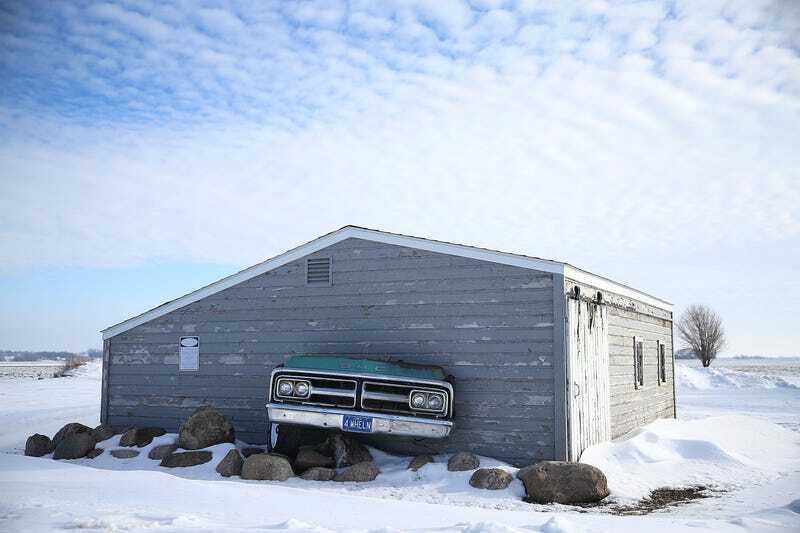 A car is seen in the wall of a shed on January 29, 2016 in Fenton, Iowa. A car is seen in the wall of a shed on January 29, 2016 in Fenton, Iowa. (Photo by Joe Raedle/Getty Images).